The opposition Bulgarian Socialist Party will open nominations on January 28 for its candidates for the country’s May 2019 European Parliament elections and in mid-March, it will be clear who will top the list. This is according to Kristian Vigenin, who told public broadcaster Bulgarian National Television on January 27 that he expected it would be current BSP MP Elena Yoncheva. GERB, in turn, deny the BSP claims that the Prosecutor’s Office is acting against Yoncheva on the orders of the ruling coalition. The current leader of the BSP, Kornelia Ninova, is seen as keen to displace her successor, Sergei Stanishev, from this slot. Ninova and Stanishev have pubicly disagreed on hot-button issues for the BSP, including the decision by Ninova’s party to oppose – successfully – Bulgaria’s adoption of the Istanbul Convention, an international instrument against violence against women. Ninova’s BSP joined in with a campaign spearheaded by conservative voices against the Istanbul Convention, including on the somewhat spurious grounds that it envisaged the endorsement, and education for school pupils about, a “third gender”. At a congress of the BSP on January 26, Ninova’s BSP made much of seeking to portray Yoncheva as a martyr to media freedom. 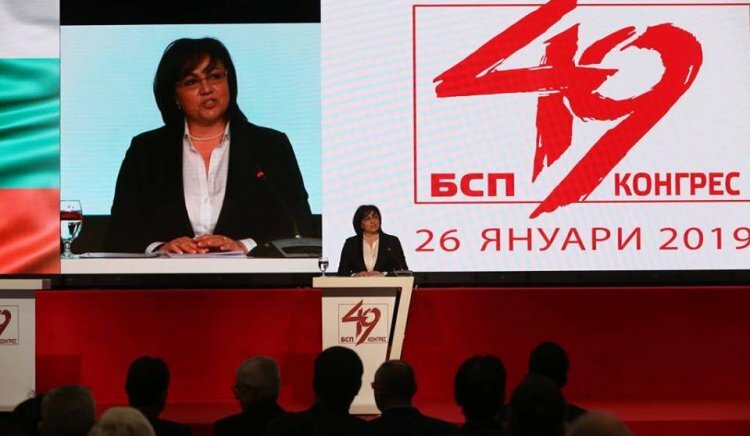 Some Bulgarian media noted that the focus of the congress seemed more about Yoncheva – who, were should she displace Stanishev as list leader would also be displacing her former boyfriend – pledged to the congress that she would “expose” corruption at the highest levels of Borissov’s government. With some opinion polls seeing Borissov’s GERB and Ninova’s BSP as running neck-and-neck in Bulgaria’s European Parliament vote, Ninova is seeking to make the May 2019 vote a referendum on the Borissov government. “If we beat GERB in the elections, we can not only send to the European Parliament people who will defend the Bulgarian interests but we can also remove GERB from power and initiate change in Bulgaria,” Ninova said. Stanishev, meanwhile, said that the dispute in the party about whether he should even be on the BSP ticket was undermining the party’s potential.